About 7 Bar Grille . . .
You are currently browsing the category archive for the ‘News’ category. I want to welcome Colorado native Alison Williams to the Freek Team as our Healthy Lifestyle Correspondent. 7 Bar Grille won’t be the same anymore with Alison lending insightful tips, tricks, in-depth and useful information about eating, living as well simply being thoughtful of your body, mind and soul. From foods to recipes and suggestions about indoor and outdoor activities, Alison will bring to the table what you need to be fit, healthy and terrific! Look for more about Alison in the upcoming Winter 2009 issue of JPFreek get your subscription at www.JPFreek.com. 7Bar Grille Culinary Modification Tools: Enhancing your culinary pleasures….go ahead and get some…..you know you want to! Win a brand new All Terrain 12×9 Camp Cutting Board/Strainer as tested and reviewed at the Moab 2009 Easter Jeep Safari. How: Submit your favorite recipe with photograph to mdenittis@jpfreek.com . The winner will be contacted and asked to provide short insight into the recipe as well an address to send the Epicurean Cutting Board to. This cutting board went through the rigors of preparing three evenings of dinners for appoximately 15 people each evening. As reviewed in JPFreek Magazine: All Terrain Camp Cutting Board from Epicurean. See the full review in the Summer Issue of www.JPFreek.com the official digital publication of Jeep Jamboree USA. Digz & Diners – Where are we eating? JPFreek Adventure Magazine – We love Jeeps and outdoor adventure! 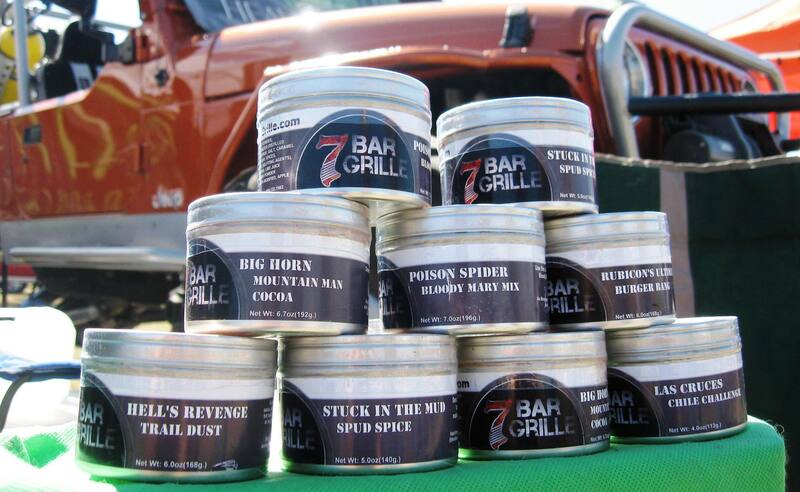 Subscribe to 7 Bar Grille! Enter your email address to subscribe...that's it!